It seems every aspect of our lives now has a mobile component. You can get a ride, a hotel room, clothes, or even fresh produce from your phone. You can pay bills on-the-go or even buy gas at the pump. But smartphones and apps aren’t a new concept. 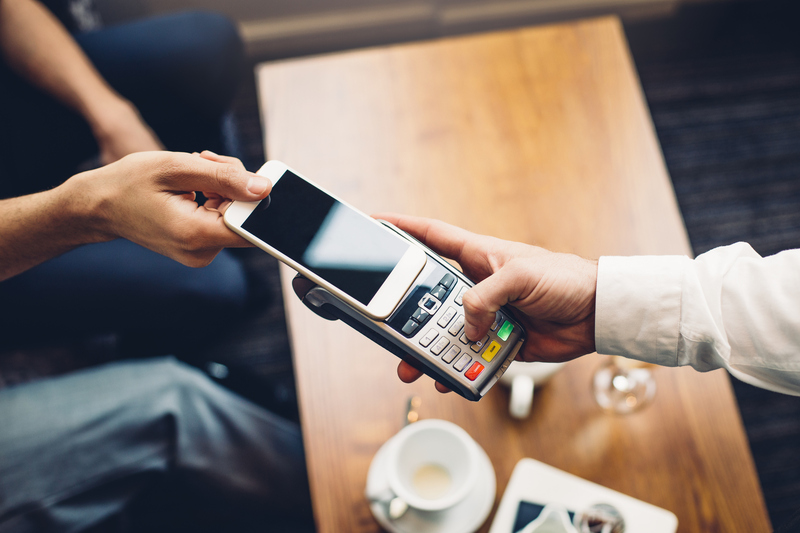 What’s new is the speed at which organizations are turning to mobile commerce to connect with their customers and build loyalty by providing easier accessibility and convenience. In fact, mobile commerce sales accounted for 34.5% of total ecommerce sales in 2017, but will grow to nearly 60% by 2021. What is mobile commerce, and why is it so important for companies to adapt? As consumer dependence on their phones increases with every new feature and functionality, their expectations for brands to deliver mobile experiences increase too. But not every website is optimized for mobile viewing, creating a frustrating experience for visitors when they’re trying to make a purchase or gather information. Apps, on the other hand, are specifically designed for smartphones, meaning information displays just as it should. It’s the reason why 90% of time spent on mobile is spent in apps and only 10% is spent on the internet. Mobile commerce accounted for 63% of all ecommerce last year, bringing in an approximate $1.8 trillion. And it’s only expected to rise, meaning big opportunities for companies who invest in mobile revenue streams. Not only does mobile commerce open up a whole new channel for generating sales, but it can also increase customer spending. With your brand’s offerings at their fingertips, customers can browse easier, select more products, and make faster purchases. In fact, apps are generally 1.5 times faster than mobile sites when loading data and search results. Nearly 72% of Australian adults now own a smartphone, and usage continues to rise. With handheld computers within arm’s reach, consumers are turning to mobile at every corner for its convenience and ease of use. Mobile commerce provides an opportunity to enhance the customer experience by making it easier to get what they need when they need it. In addition, apps allow you to connect in real-time through push notifications, keeping consumers informed and coming back for more. Shoppers are venturing in-store less and less with the convenience of online purchases and curbside pick-up. And in the retail fuels industry, customers are more likely to pay at the pump, keeping them from engaging with the brand and making additional purchases inside. Giving customers the option to pay via mobile allows you to market to shoppers with exclusive offers that encourage them to come in-store (e.g. “free coffee” or “buy one, get one free snack”). In addition, mobile rewards programs also encourage more frequent purchases, prompting users to spend more time in-store. Mobile commerce provides clearer insight into customer shopping patterns, preferences, and spending habits. With the ability to track purchases, locations, and payments made in-app, you can see exactly what customers are engaging with most, allowing you to double down on more targeted marketing. With unprecedented growth rates and mobile usage, it’s clear that mobile commerce is NOT just a trend. Already, nearly half of all consumers now say their mobile devices are their most important shopping tool. Regardless of industry, brands must find a way to engage with their customers via mobile to not only create unbeatable omni-channel customer experiences, but drive purchases and revenue, while securing a wealth of data and analytics to keep marketers well-informed for future campaigns. P97 is harnessing the power of mobile commerce with the world’s most powerful mobile commerce and digital marketing platform for convenience retail, fueling, and vehicle manufacturing brands. With the ability to enable mobile payments at the pump (or wherever your customers might be), P97 makes it easy to drive increased revenue, provide seamless omni-channel customer experiences, and build loyalty with consumers to keep them coming back. Start driving your mobile commerce strategy with the sophistication and intuitiveness of the P97 platform. Get started by scheduling a demo today.